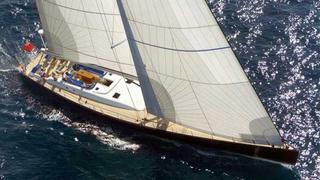 Joost Goverts at Northrop & Johnson Spain tells me he's sold the 31.72m sailing yacht Only Now with Andre Barbier at Dolphin Yachts introducing the buyer. Built by CNB by 2002 to a design by German Frers, Only Now is optimised for high-performance cruising. Accommodating six guests in a master suite and a double and twin cabin, her superstructure was repainted in 2010 and her hull in 2011. Only Now features an hydraulic opening swim platform. Only Now was asking €2,495,000.